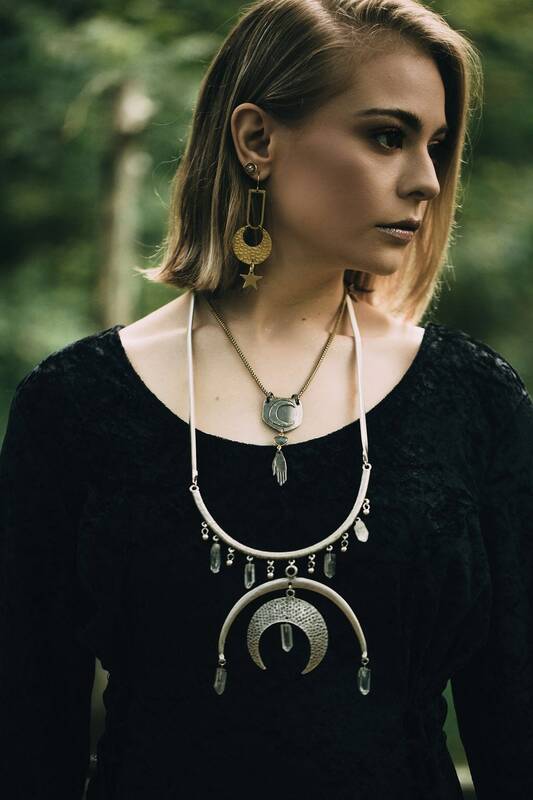 This is a one of a kind piece due to the vintage chain, however, it has reincarnated with a slightly skinnier brass chain. 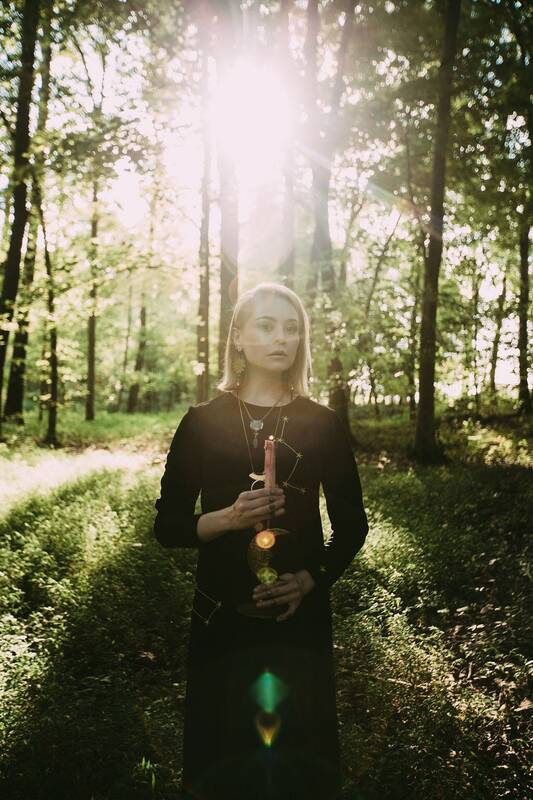 The Initiation Necklace is the perfect talisman to wear while getting inducted to your cult or coven. 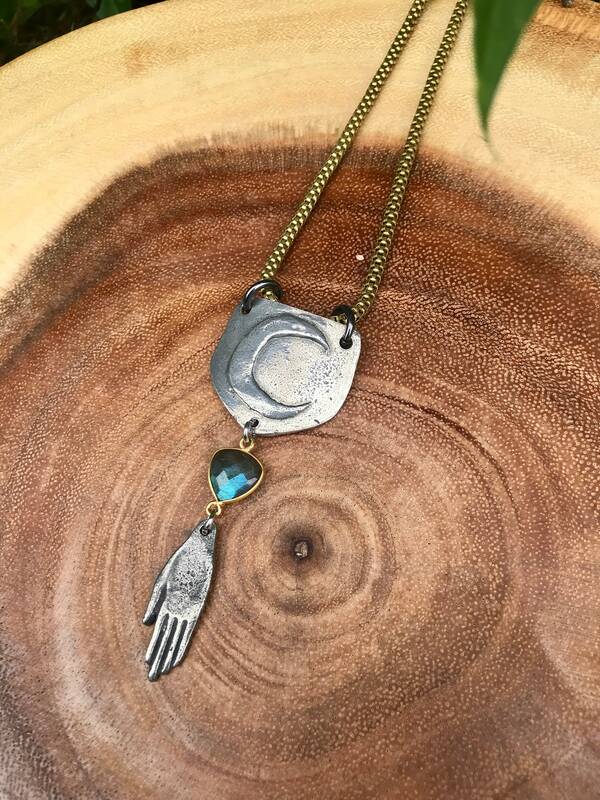 It features a pewter moon charm and hand, as well as a labradorite connector. 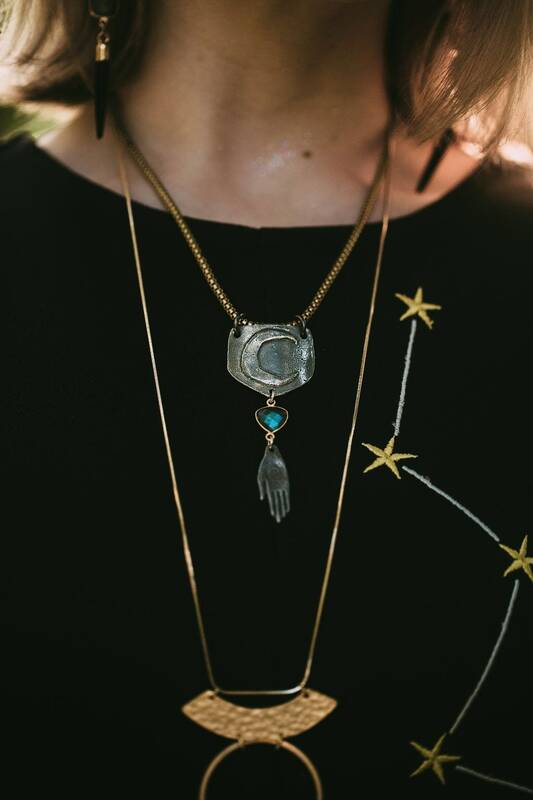 The pendant measures 3 inches long and hangs from an 18 inch vintage brass chain. 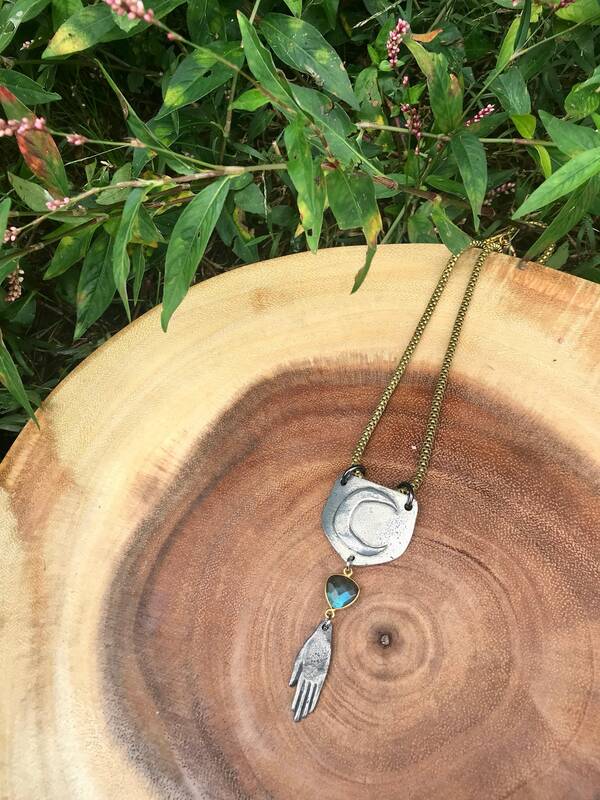 Labradorite is said to promote clairvoyance and provide protection. 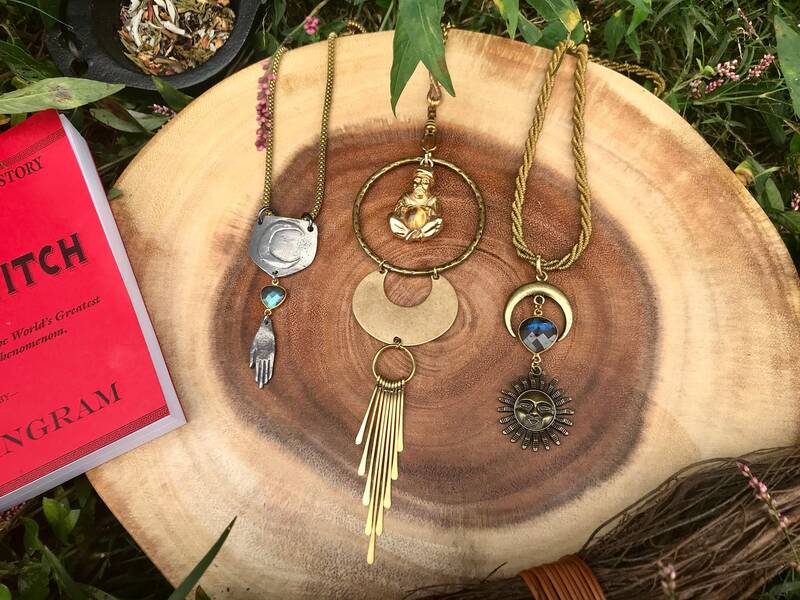 The Tennessee Witch Collection is inspired by the Bell Witch legend of Adams, Tennessee and all witches who live through whispers and between pages.